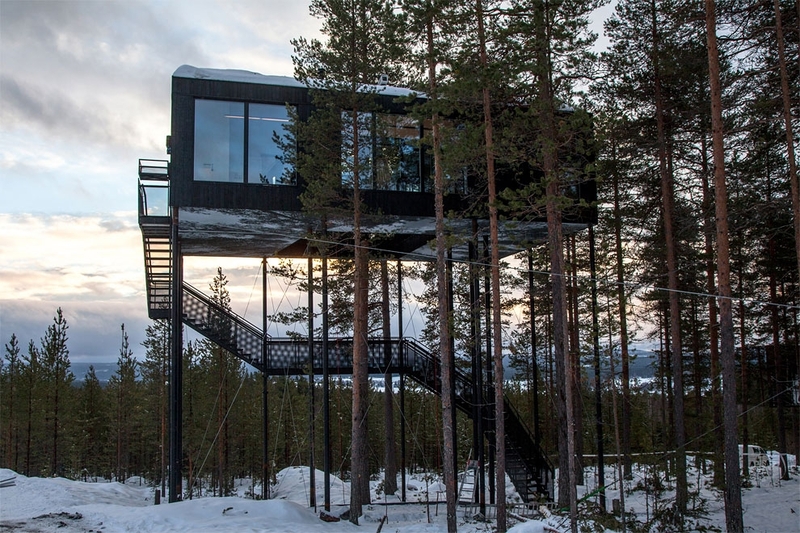 Your own bird's nest room, high up in the trees. 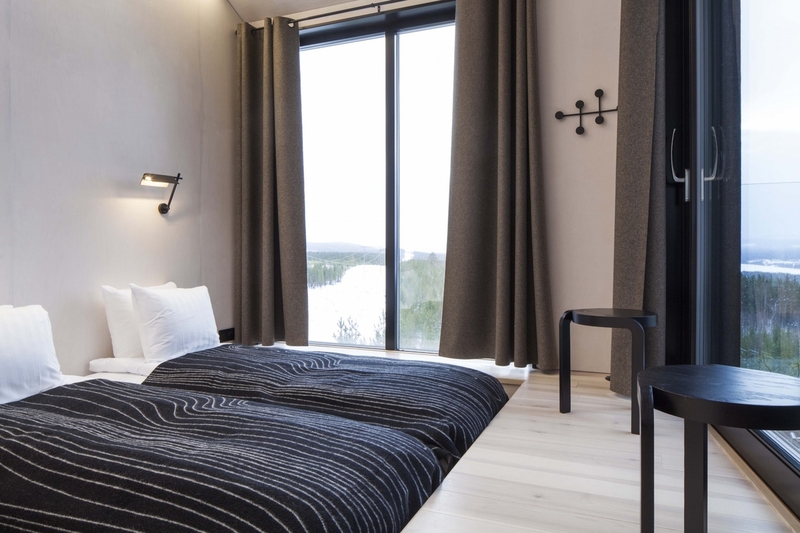 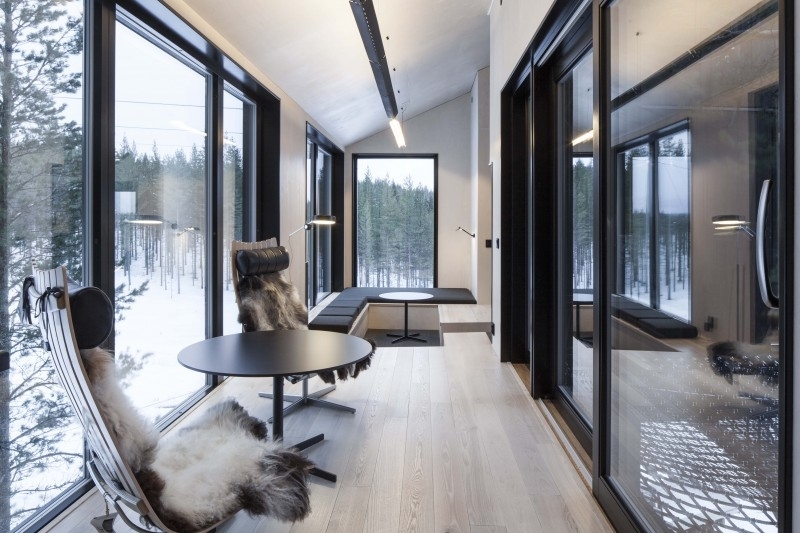 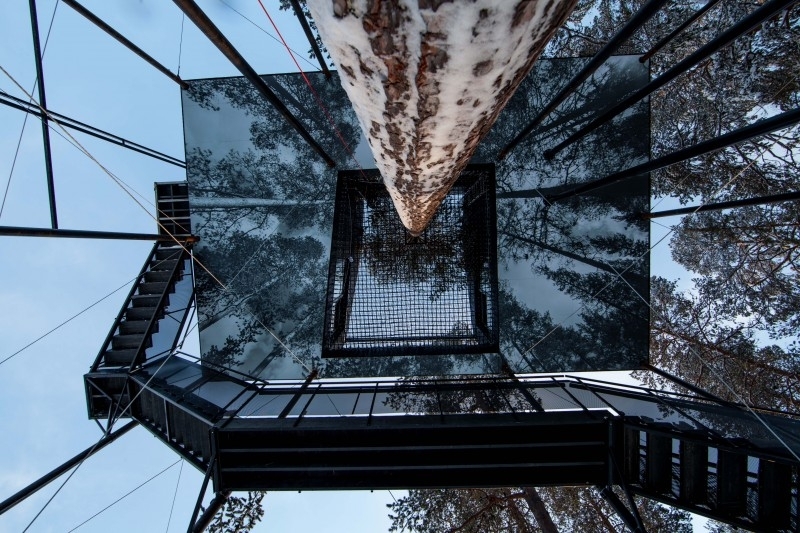 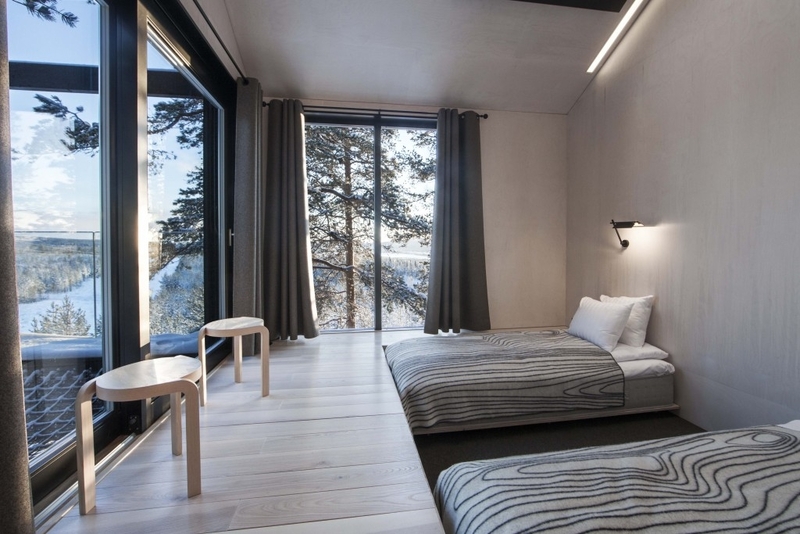 Snøhetta designed this lovely Cabin, that is situated in Northern Sweden, 10 meters (32.8 feet) above the ground, with 360 degree views that include the Lapland treetops and the Lule River. 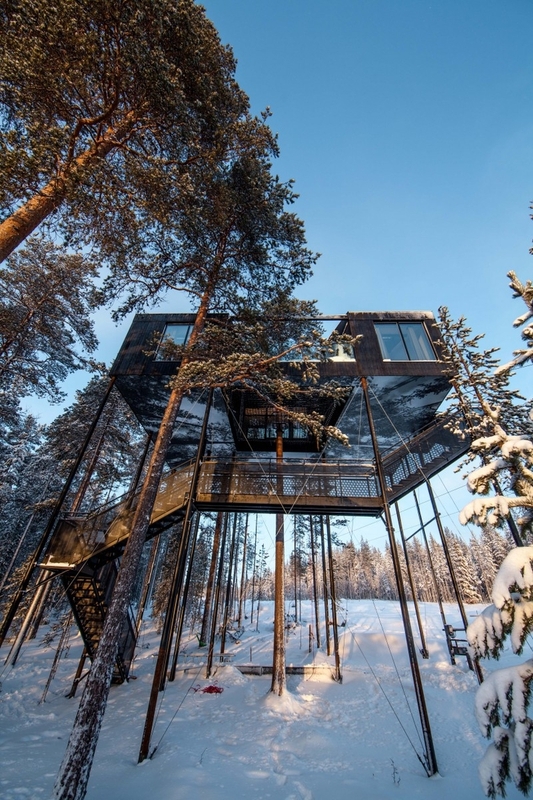 This building that was named the 7th Room and it is there as extra accommodation for their existing Treehotel. 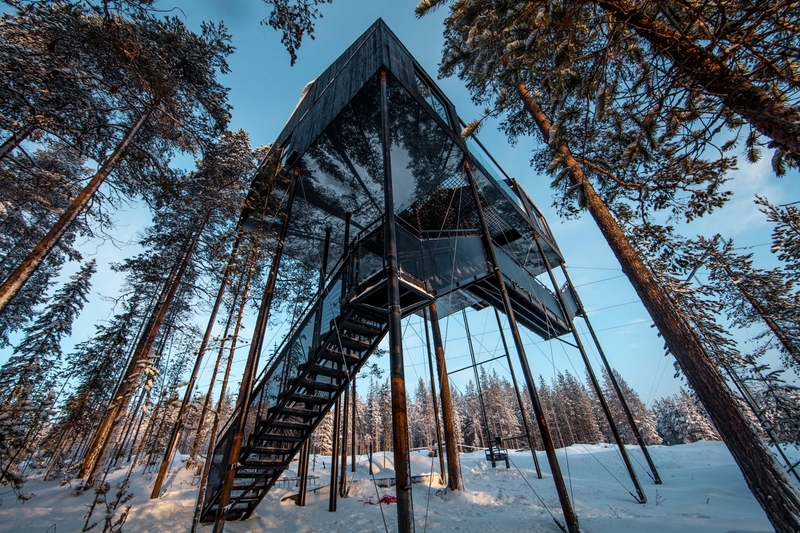 There are many big windows all across the structure so that you actually feel like you are suspended in mid air. 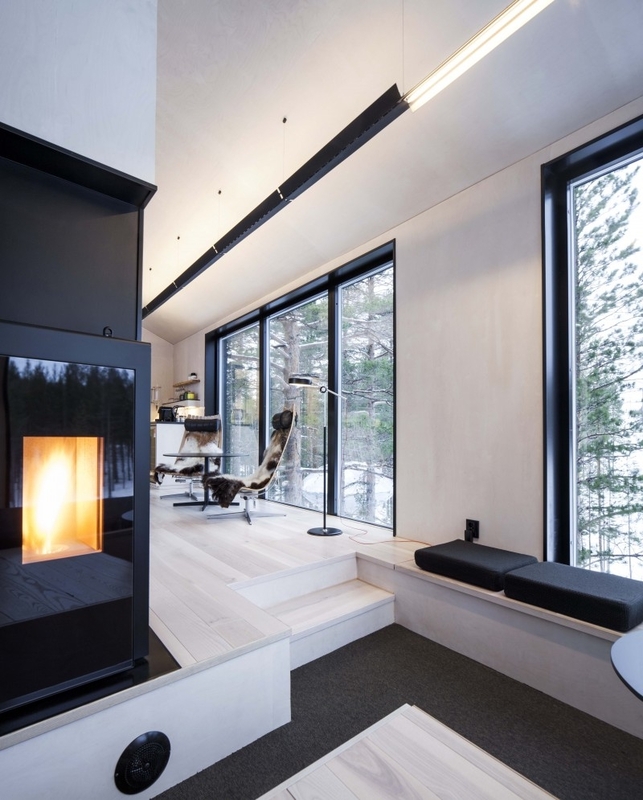 The cabin is built with traditional Nordic materials and burnt pine cladding, to eliminate the need for maintenance. 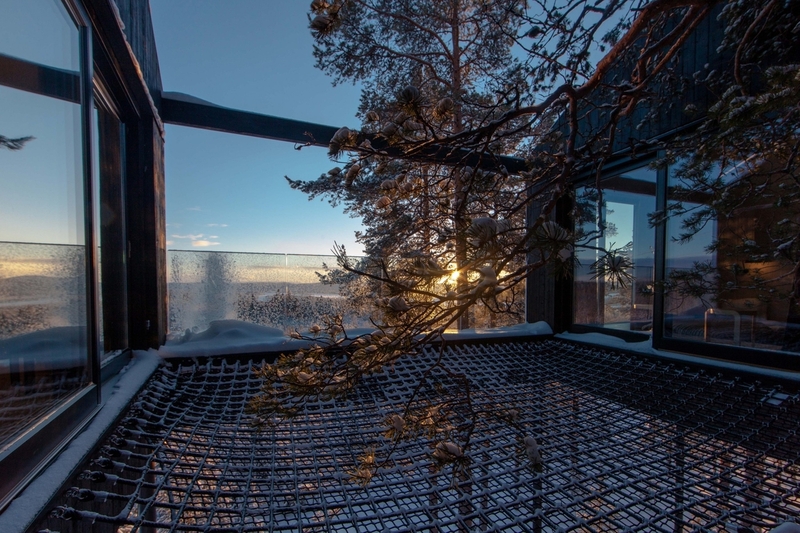 The interior by contrast is very light with a netted terrace to enjoy the views all around, including, below you. 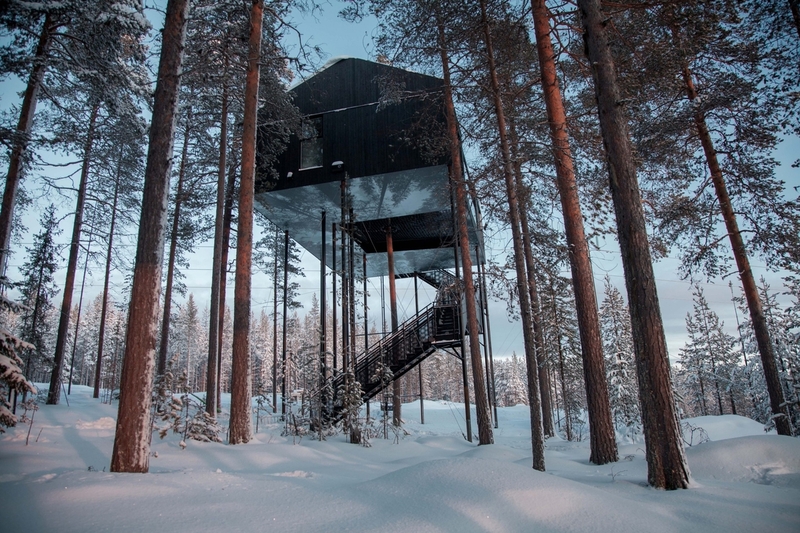 The staircase brings you up to the cabin with the addition of the lift to carry the luggage. 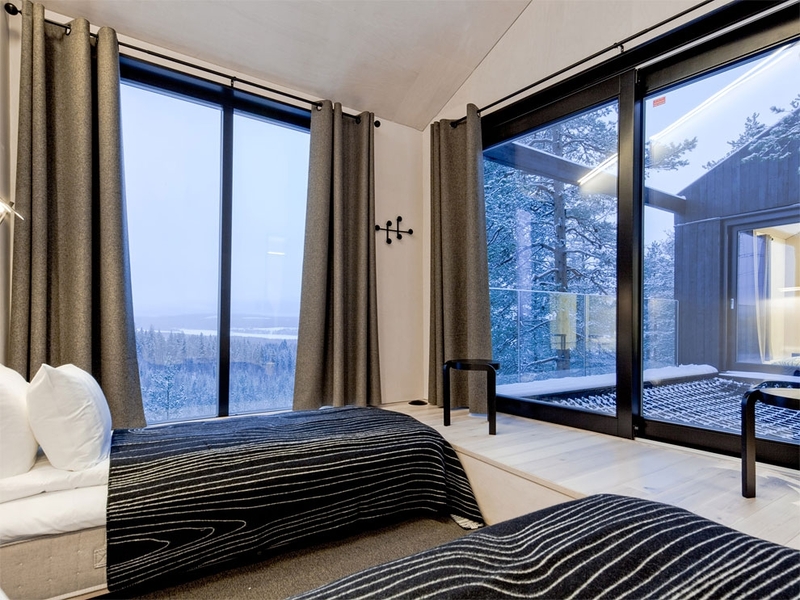 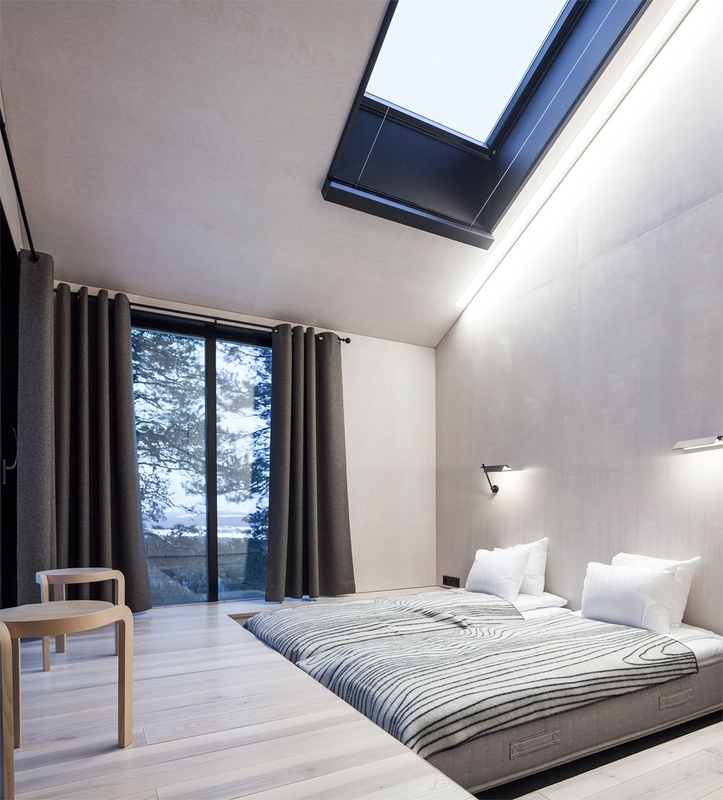 A beautiful way of enjoying nature from above, in a lovely cosy cabin / hotel room.